Bring focus to your business. With KPIs in sight, you can make sure everyone is paying attention to the metrics that matter. Build your office Datawall in minutes. No coding required. Easily display data from multiple data sources without one single line of code. Simple management. Keep data secure by choosing which users or IP addresses can access each Datawall. All your KPIs on a single screen. 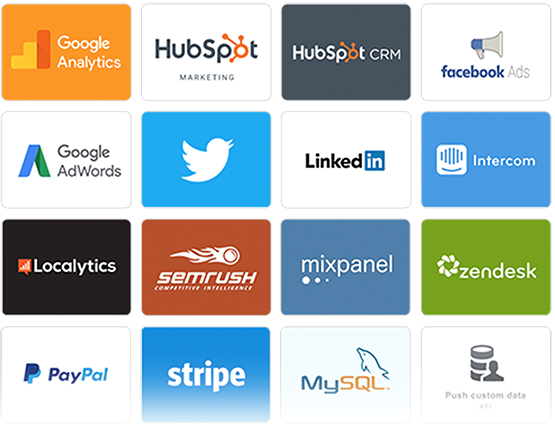 Choose from dozens of pre-built integrations or use our API and SDKs to pull in key metrics from any data source. Datawall Designer. Get set up in minutes with no coding required. Share with your team. Easily share Datawalls with your team or another department. Make it yours. Choose your color, background picture, or even upload your logo. Desktop view. View Datawalls right on your computer. Perfect big or small. Present crisp, clear data, no matter where you want to see it. User permissions. Set access permissions to make data security simple. IP restriction. Enhanced security so you can restrict access to only certain IP addresses. Looping. Loop several Datawalls in a row on one screen.